I think there isn’t a single Ferrero product that I don’t like. I even learned to like Pocket Coffee and I hated it at first. 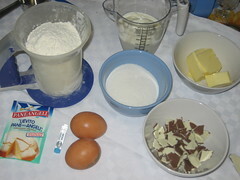 I found this simple and delicious recipe for cupcakes on another blog, and I soon had a smile on my face, despite a rainy day. I had these two huge Easter chocolate eggs (Kinder Ferrero) lying around, since my kids, for some strange reason are eating MY dark chocolate egg. 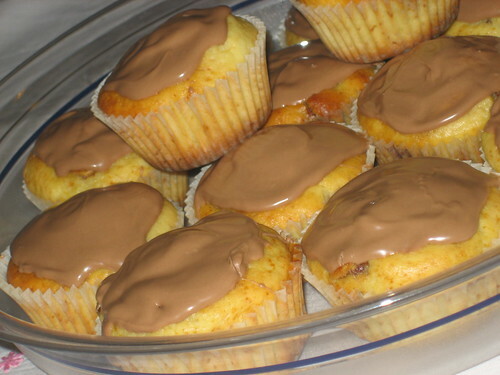 I changed the recipe very little – I added less sugar since I had only sweetened yogurt, and I used the chocolate from Kinder Easter Chocolate Egg instead of the chocolate bars. 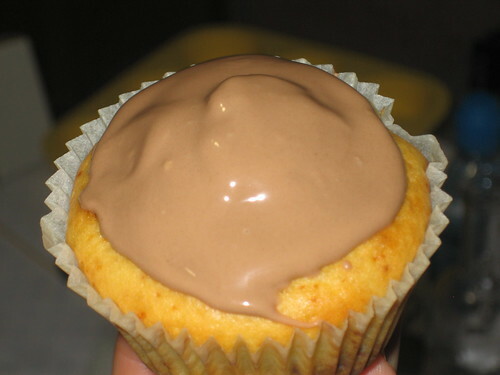 When I finished the cupcakes, I had a feeling something was missing so I decided to melt some more Kinder chocolate and pour it over the cupcakes – that was the perfect touch. I already know what I’m adding next time I make these!!! Can you guess? And, finally, when I asked Francesca if they were good I got this answer. They are simple, delicious, soft and moist, quick and easy to make – even a non-experienced baker would make these without trouble. Trust me. 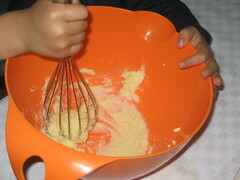 Mix softened butter with sugar and vanilla extract in a bowl. These little hands you see in the picture are not mine!!! 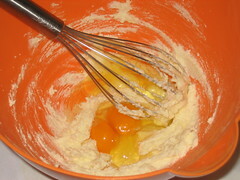 Add eggs and mix well again. 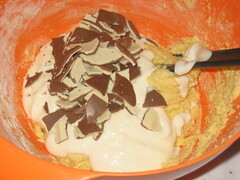 and 100 g of chopped chocolate. 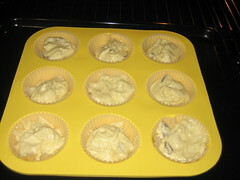 Fill the paper cups to 2/3 and bake in an oven preheated to 180°C for about 20 minutes. Melt the rest of chocolate and pour over cooled cupcakes. 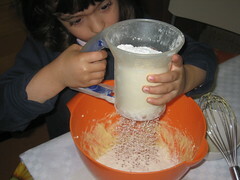 È una ricetta semplicissima ma cosi buona che nessuno possa resistere (beh, tranne Gaetano, forse). In una terrina lavorate il burro ammorbidito con lo zucchero e vaniglia. Aggiungete le uova e mescolate il tutto. Unite la farina setacciata con il lievito. Aggiungete lo yogurt. Mescolate ed aggiungete il cioccolato spezzettato. 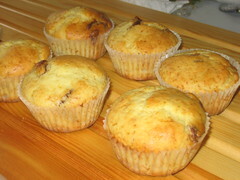 Amalgamate il tutto e versate nei pirottini di carta o nei stampi per i muffin riempendoli per 2/3. 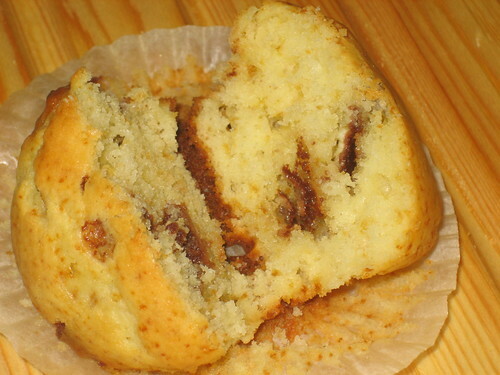 Cuocete i cupcakes nel forno preriscaldato a 180° per circa 20 minuti. Fatte comunque la prova dello stuzzicadenti (deve uscire asciutto). Lasciateli raffreddare. Spezzettate altri 100 g di cioccolato e fatelo sciogliere a fuoco basso. Decorate i cupcake. Miješajte omekšali maslac sa šećerom i vanilin šećerom. Dodajte jaja i dobro umutite. Dodajte brašno prosijano s praškom za pecivo, a potom i jogurt. Na kraju dodajte čokoladu iskidanu na komadiće. Napunite papirne čašice za kolače do 2/3 i pecite u pećnici zagrijanoj na 180°C otprilike 20 minuta. Provjerite čačkalicom (kad ubodete u sredinu, čačkalica mora izaći suha). Na pari otopite ostatak čokolade Kinder i ukrasite ispečene i ohlađene kolačiće. 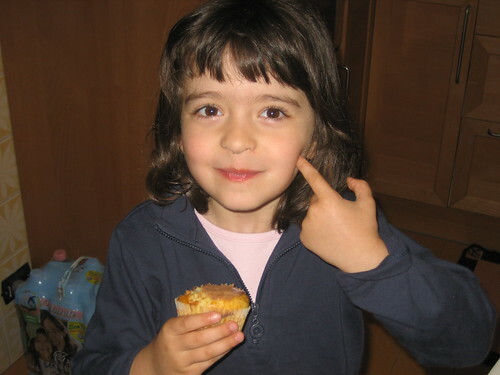 Mmmmmm, cupcakes. Those look great, love the melted chocolate on top. What a yummy treat! They look so scrumptious!! I just love your little kitchen helper, what a cutie! Oh, and the cupcakes look fantastic of course! Your little chef is so darn cute. 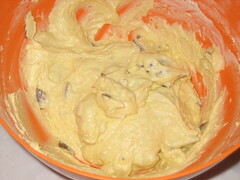 The recipe sounds like something my husband would love, he is a real chocolate lover. Leek in a tart - I love it!